On this page are a selection of pictures that typify Bert's activities. Use the buttons for much more! Bert replicates his 1936 pose! 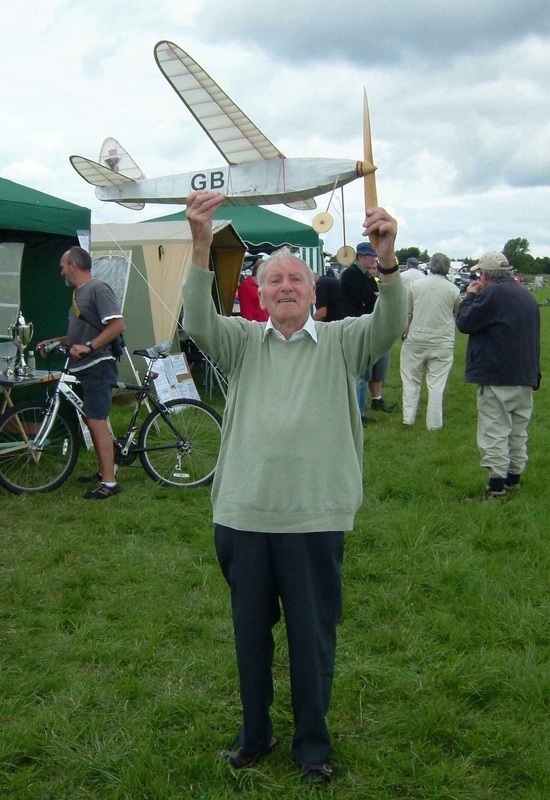 Bert Judge - A photograph taken at Little Rissington in 2006, 70 years after he won the trophy in 1936! Bert was 89 years old when this photograph was taken. This picture was taken at Little Rissington in 2006. 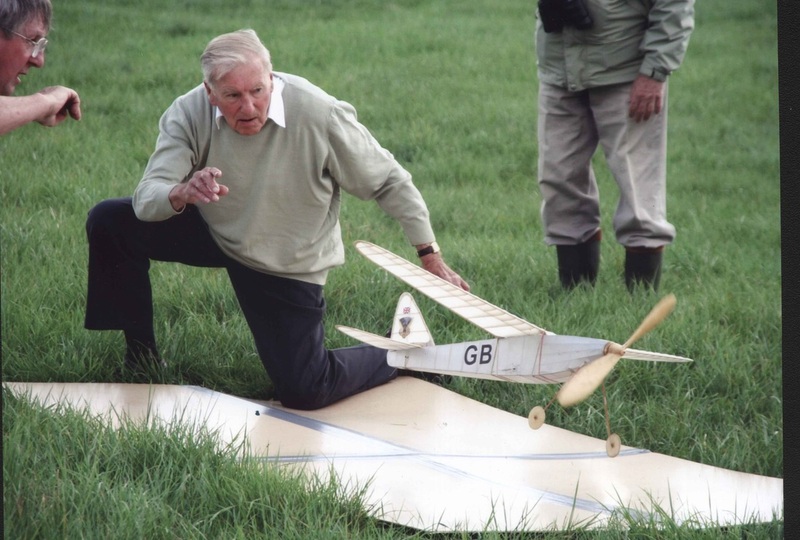 In his 90th year - and with no practice - Bert came third in the anniversary competition despite competition from other more current competitors. 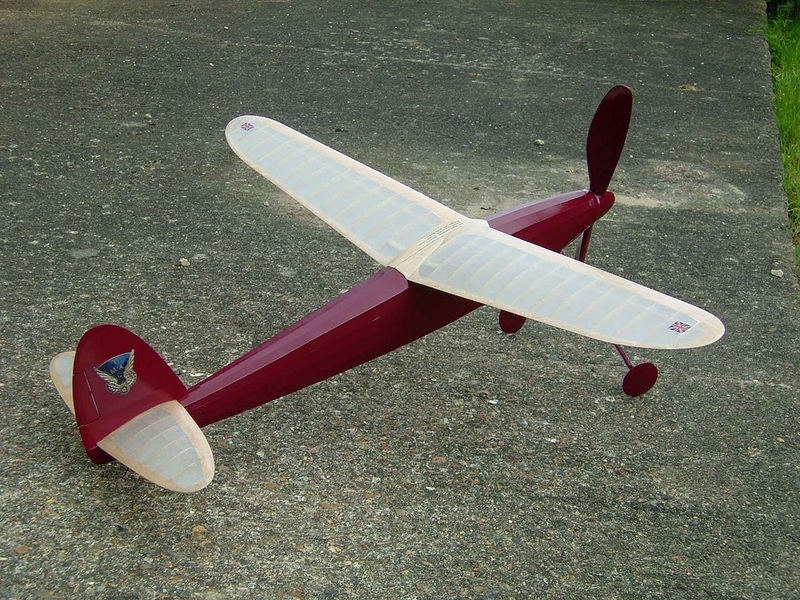 Here we have Bert's own replica of his 1936 machine shortly after launching at Little Rissington. 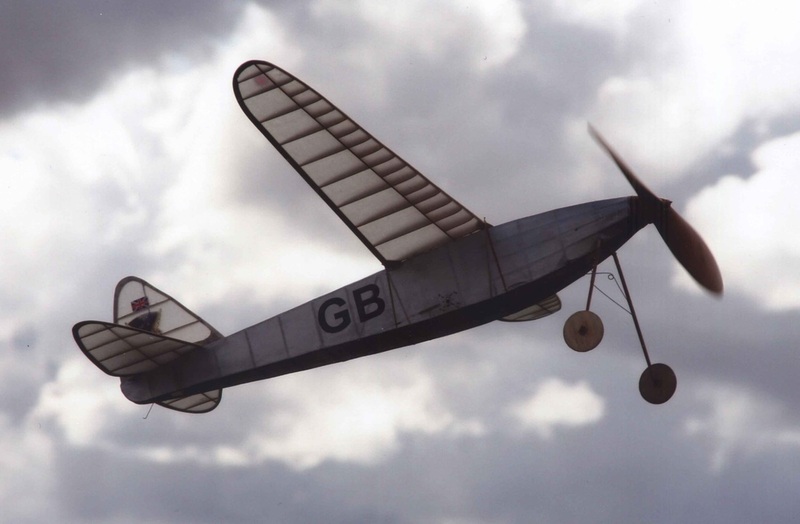 This aircraft was designed in 1945 and partly built by Bert Judge. However, it was not completed by him and remained unfinished until he allowed me to finally bring it to life! 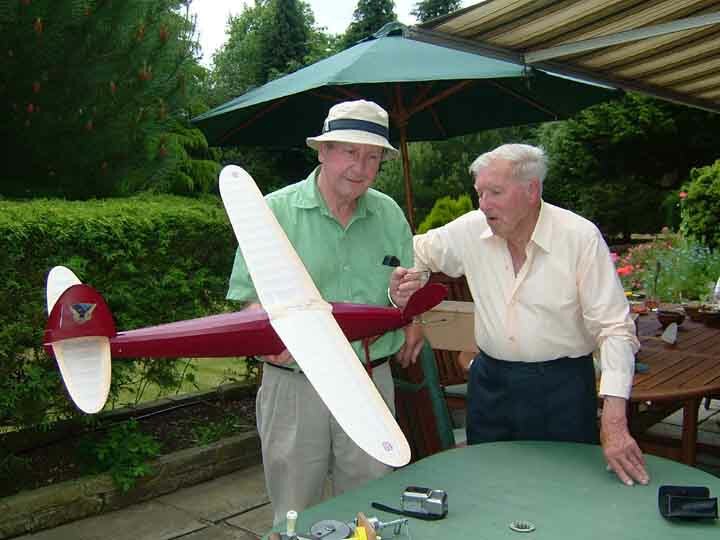 A photograph taken when Bert spent time with me and some other Model Aircraft enthusiasts! You can CLICK HERE for a rather low quality clip of the first flight! 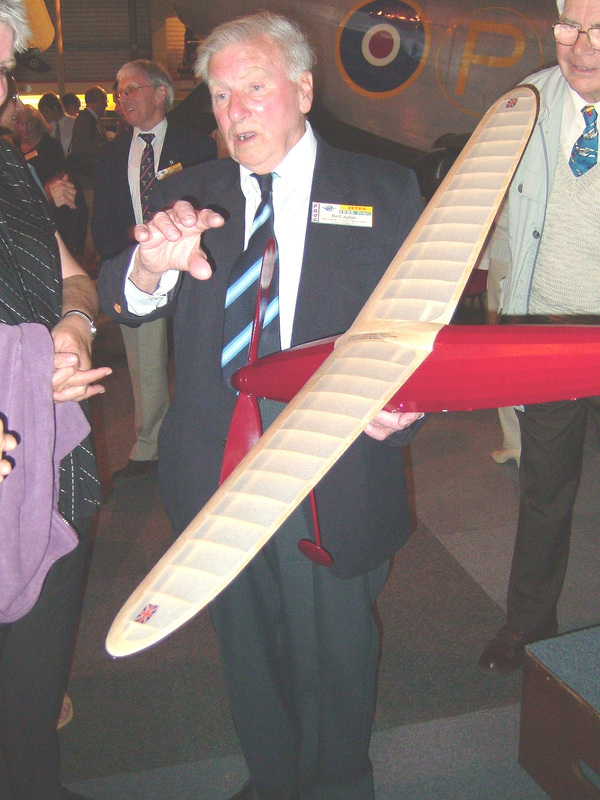 In 2009 Bert Judge was Guest of Honour at the Solent Sky Museum where they they were holding a 'Frog' model aircraft event. 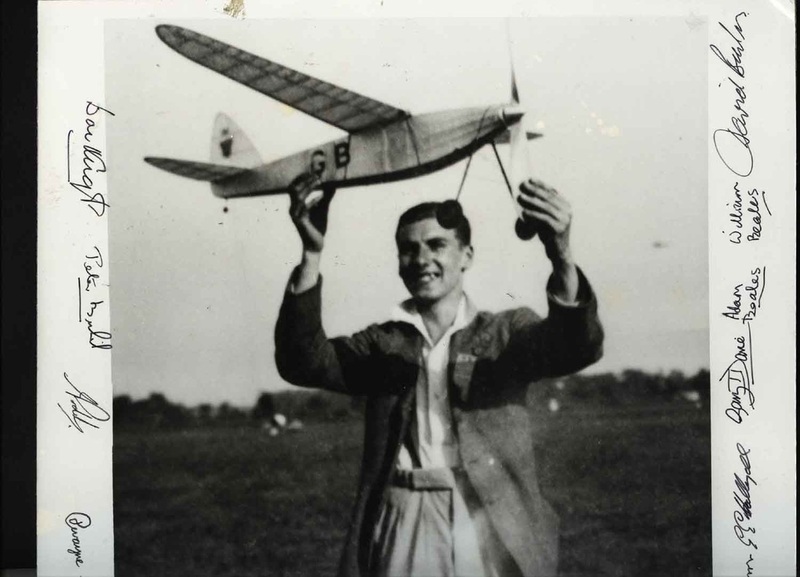 Here he is holding his 1945 Wakefield aircraft.